WOW...This AFFORDABLE MOUNTAIN VIEW LOT has great potential for building your new ''DREAM HOME'', zoned CR-3 single residence. 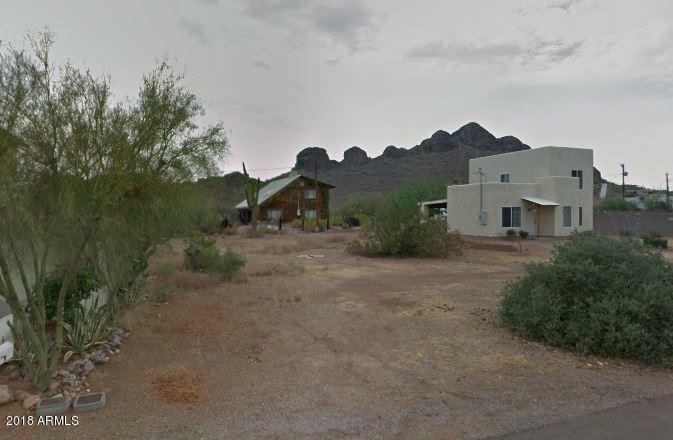 Located in gorgeous Gold Canyon, it offers AWESOME DINOSAUR MOUNTAIN VIEWS and is ***only minutes away from shopping, dining, schools, medical offices & close freeway access to the entire Phoenix Valley! This lot is flat with minimal grading to build, has water & electricity already right up to the lot line and ***NO HOA's. Lot has been approved for a conventional septic system per the equivalent (PERK) Test per ASTM D5921. THIS LOT IS READY TO BUILD! An exceptional VALUE! MUST SEE! !